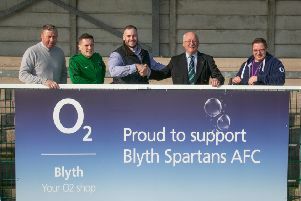 Celtic Nation player-manager Mark Boyd paid tribute to his squad in the wake of Saturday’s 6-0 hammering by Ashington. But he admitted that the game was over at half-time with his side 5-0 down. He said: “The wind was in Ashington’s favour in the first half and they used it really well. “But we are a team who are struggling. We came up here and gave it our best, but the game was finished at half-time. “At the break we just said ‘Let’s go out for the next 45 minutes and see if we can win the second half’, but it wasn’t to be.